We are thrilled to host internationally renowned Master Chef Tarek Ibrahim who will be cooking his signature Arabic dishes this Sunday overlooking the ocean in Hamptons Beachfront‘s five-star kitchen for brand new television series Australian Adventures with Chef Tarek. As part of his culinary tour of Australia for the Middle East’s only cooking channel, he will visit some of our country’s most beautiful locations over three weeks in search of the best ingredients. 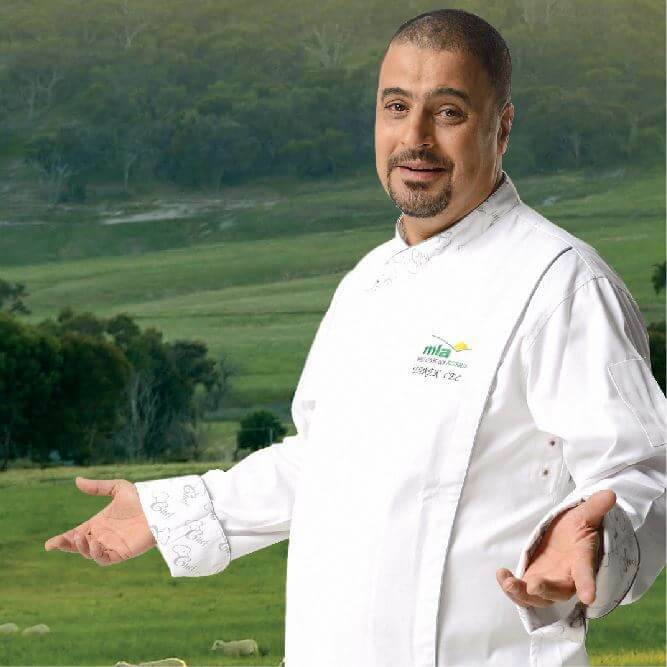 Filmed in both English and Arabic the show will feature Australia’s unique food culture and see Chef Tarek visiting farmers, producers and chefs working with local produce. Chosen because of its absolute beachfront location, Hamptons Beachfront is one of Elite Holiday Homes premiere properties. Spread over three levels and with uninterrupted ocean views, the luxury home is the perfect place to showcase Australia’s famous coastline. We can’t wait to see Chef Tarek in action and hope to welcome our Middle Eastern friends to the Gold Coast soon.